When should your Air Conditioning System be inspected – serviced? Do you have one of these air conditioning trouble symptoms? Is your AC not cold or do you smell a bad odor like rotten eggs? Is your Air Condtioning noisy? Do you hearing a squealing sound as you accelerate? Do you have poor cooling performance (not as cold as it used to be? If you answered yes to any of these questions, call West Adams today. Our teams of Air Conditioning specialists are fully trained to answer your questions and service / repair your car air conditioner. If you have a general reduction of cooling, but the car ac is still cooling, your ac compressor may just be low on refrigerant (Freon). West Adams can inspect your car for Freon leaks and add additional Freon based on the manufacture's specifications. If your car overheats only in very hot weather, it may be is a Cooling System problem that requires a full cooling system inspection. 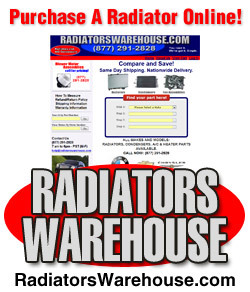 You may need an extra or a larger radiator. If you have no cooling, you may have a broken seal, hose or bad compressor. The air from your AC vents should be about 50% with air conditioner on. Some older vehicle's air conditioning does not work well when the outside temperature is very high because of low Freon or the AC unit cannot support cooling your vehicle in very high temperatures. If you hear a new noise from the engine compartment, it may be your compressor. A noisy air conditioner's compressor normally is an indicator that it is broken and will need a replacement. However, there are several other reasons for the noise. It could be contaminated refrigerant or other component in the engine compartment, e.g., belts, brackets. A quick auto air conditioning system inspection by West Adams team of automotive air conditioner specialist will determine and repair you AC system. How Does a Car Air Conditioner Work? The first car air conditioner was manufactured in the early 1940s. Since then, the car air conditioning system has gone through many improvements. The basic concept of vehicle air conditioning remains untouched and is the same process used as in your home air conditioning. 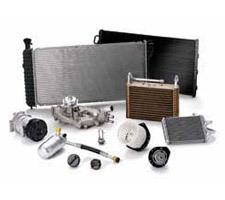 The basic components are the compressor, condenser, evaporator, accumulator and expansion valve. Each ac part has a specific task. The compressor works the same way in most other air conditioners. Your car engine provides the drive for the compressor. The compressor is responsible for compressing the refrigerant gas. When the refrigerant gas is compressed, the gas becomes heated and is sent through a set of coils to the condenser. The condenser is where the heat is removed from the gas. The hot air comes off the top of the condenser, while the rest of the gas is condensed into a cool liquid. This device regulates the temperature based on your AC settings normally found on your dashboard for your car air conditioner. The evaporator is how you feel the cold air. The warm outside air is passes over the evaporator tubes and the tubes extract the heat from the air. You fan controls the amount of air that is passed over the evaporator tubes. •	In 1933, a company in New York City was the first to offer a vehicle air conditioning for cars. Their primary customers operated limousines and luxury cars. •	In 1939, Packard Motor Car Company was the manufacturer to install air conditioners into their. The air conditioners were optional vehicle equipment and cost about 274. These first AC systems took up half of the entire trunk space and it was not very efficient. The company dropped the option 1941. •	The 1953 Chrysler Imperial was the first production car to have automobile air conditioning. Chrysler was first, followed by Cadillac, Buick and Oldsmobile. •	The first American automobile to have a front-end and fully integrated heating, ventilating, and air-conditioning system was the 1954 Nash Ambassador. •	By 1969, over 50% of the United States automobiles were equipped with air conditioning. Please visit Wikipedia for additional information. 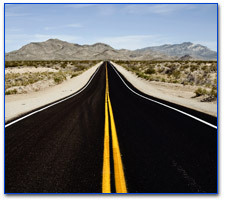 Why should you trust West Adams Radiator to service or repair you car, truck or SUV? Please visit our West Adams Advantage Page for our history.